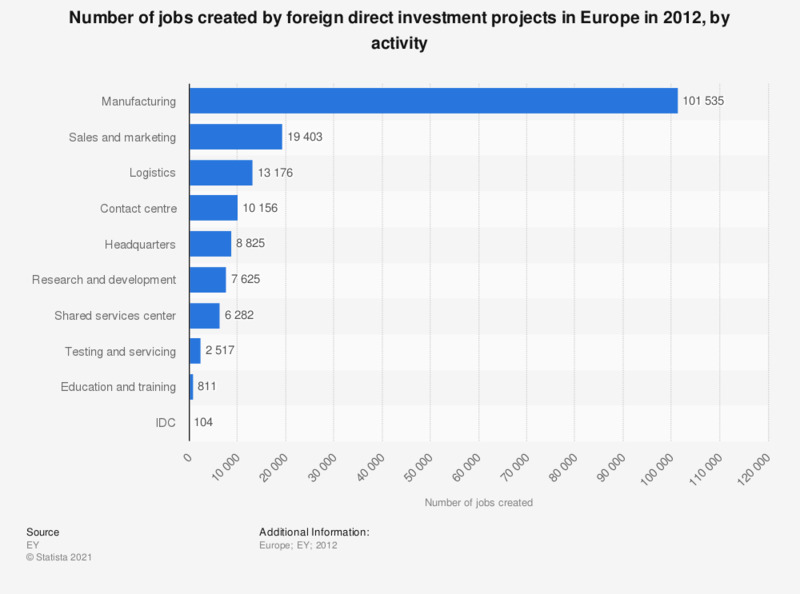 This statistic shows the number jobs created by foreign direct investment projecty in Europe in 2012, by activity. In 2012, most jobs were created by FDI projects in manufacturing, with about 101,535. The number of jobs created by FDI projects in Europe totaled to 170,434.